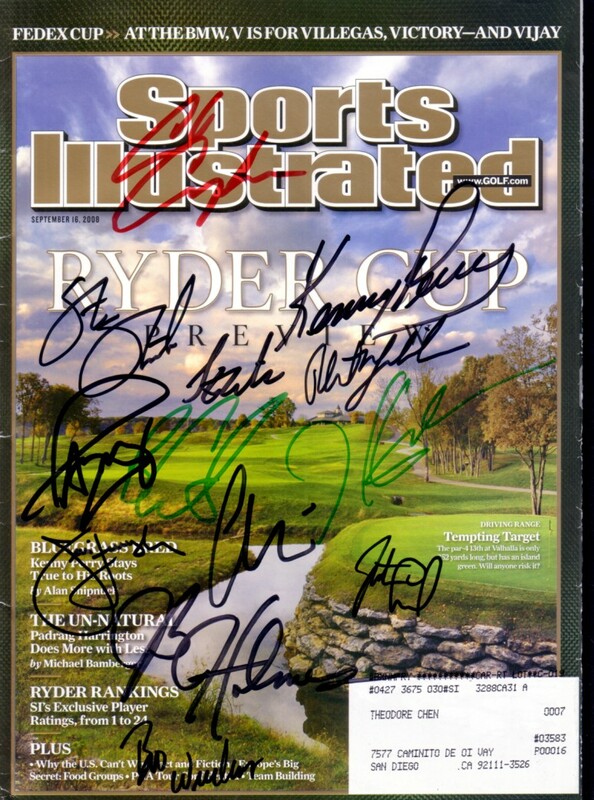 2008 Ryder Cup Sports Illustrated special preview issue autographed on the cover by captain Paul Azinger and the entire winning U.S. Team of 12 players: Chad Campbell, Stewart Cink, Ben Curtis, Jim Furyk, J.B. Holmes, Anthony Kim, Justin Leonard, Hunter Mahan, Phil Mickelson, Kenny Perry, Steve Stricker and Boo Weekley. Has very minor wear but suitable for framing. With certificate of authenticity from AutographsForSale.com. ONLY ONE AVAILABLE FOR SALE.